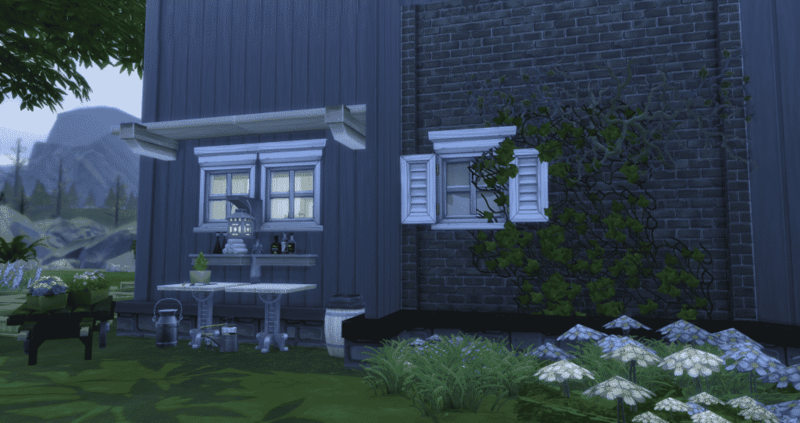 Hi, I’m Jason Sterling and this is the third in a series of Sims 4 build articles outlining build tips and tricks within the new world of Forgotten Hollow in the Sims 4. I’ll start this article with the “Sims Builder’s Three Best Friends” in-game cheats. bb.IgnoreGamePlayUnlocksEntitlement (IGUE) Unlocks all items tied to in game advancement from the start. 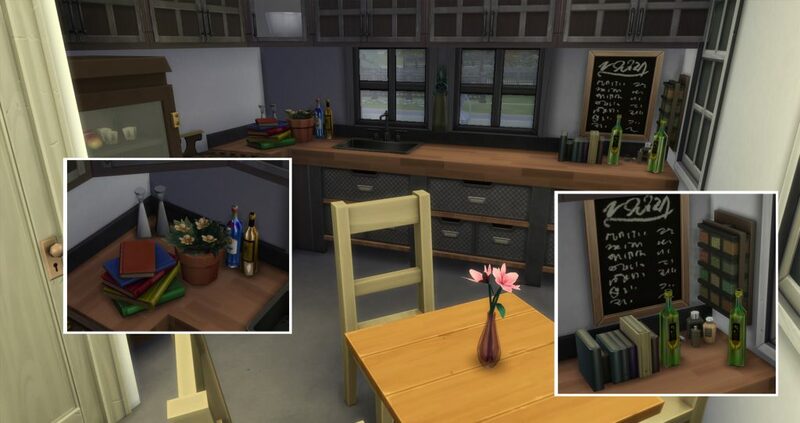 bb.ShowHiddenObjects (SHO) Displays all hidden objects for use in building such as ponds, dishes, bottles ect. bb.MoveObjects (MOO) Allows build/buy items to be freely moved around within the build and activates the height slider that raises objects up and down in the air and on the walls using the number 9 for up and the number 0 for going back down. 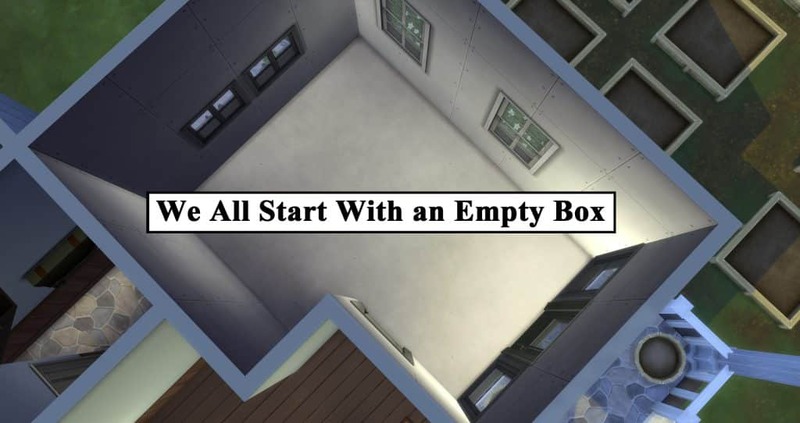 If you are new to the Sims 4 or just new to building in the Sims 4, press CTRL/SHIFT/C to open the command box within your game and enter each of the cheats above should you wish to access their features. Now on with the article. Famous Architect Mies van der Rohe said God is in the Clutter. No, not really. He said “God is in the Details” but I said “God is in the Clutter” and it’s essentially the same thing. We’re like intellectual twins he and I- lol. I’ve also said our history surrounds us and I’ve written this article to explain that. A really great build in my opinion stands out in its “details” and in its “clutter”. I have a process to assist me when placing objects in a build for a sim that follows the three stages of life. I’ll describe them below via illustrations of the evolution of the kitchen in my Apothecary House. The first stage most people begin with and some also end with, when building structures is The Present. It doesn’t need much explaining. I first set up the basic day to day needs for whatever room I am working on. It’s a kitchen so that means cabinets, appliances and someplace to eat. Then some basic flooring and wall coverings. Not bad but not entirely authentic looking. So I’ll place a few items about. It’s our sim’s every day space and it’s just like ours, so it comes naturally. This is where some people stop because they are satisfied with the outcome or because they don’t know where to proceed next. I though, like many others, proceed to the next step of The Future. The future is what our Sims are going to do for work and entertainment when we begin playing. My sim is an “Apothecary”- an imaginary job I pretend in the game. Essentially, he’s a gardener. To support the feel of the imaginary career I’ve set up various clutter items that suggest someone creating medicines in their kitchen. A chalk board for notes and so on. On the other side of the room are his gardening tools. He has children who are definitely part of his future history. So, I’ve placed a toy cat he found in the garden with the shears. There’s a toy duck peeking out from under the chest too, hidden or lost- only his children know, ha! A lot people I believe are finished here. The room works. You have your sim’s “now” and your sim’s “future”. However, the last step fulfills the reality of life for me. It’s the Past. 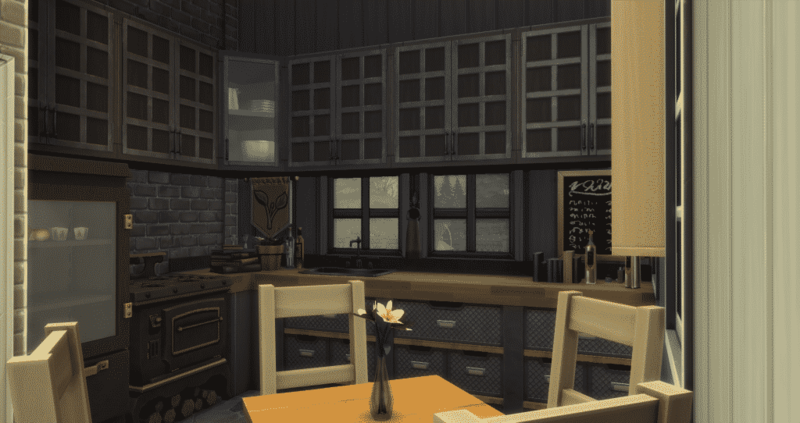 I visually create the past for a brand new Sim. I do it by surrounding my sim with their history. The history of my sim is that he came from Windenberg with just enough money to buy a home in Hollow, expand it and establish his practice. My sim bought a small brick house pictured here in and enlarged it. Since his funds are limited all of his expansions are done in wood and he’s kept what he could of the original structure. You can see that clearly in this exterior shot. 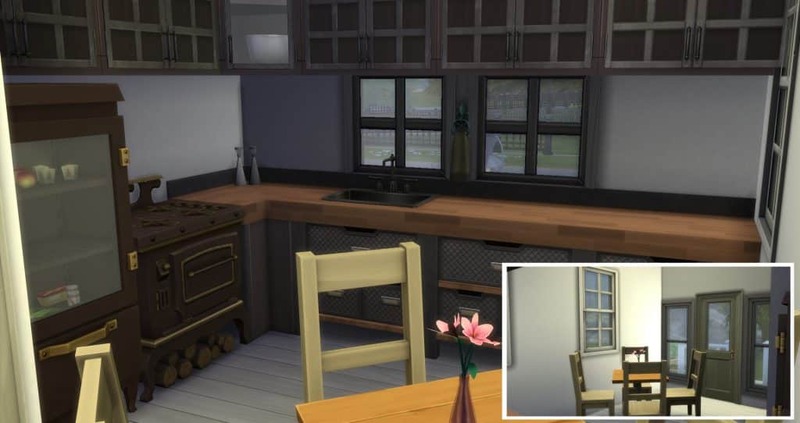 It’s also evident in the style of the kitchen that was added onto the back of the house. The original exterior brick wall and flag stone of the porch that the kitchen replaced are still there. Next, I chose objects specifically related to Windenberg. I used the sort function of the Buy Catalog to show only objects from Get Together. Then I could easily chose items that have a player association with Windenberg. I picked items like a pennant and a rug from organizations he belonged to and the shelving containing kitchen implements related to coffee- a Windenberg staple. These additions create a greater sense of personality. He’s not just existing right now and in the future but he is also existing, through his surrounding history, before I started him in my game. 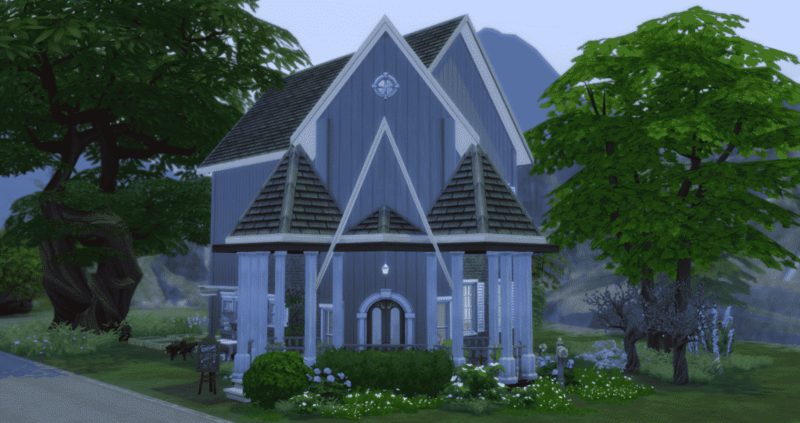 I hope you’ve enjoyed this article and it helps you surround your sim’s with their history in your future builds. If you ever have any questions please feel free to post below any article. As well, if you have any builds or examples of what you’ve created that run with the theme of an article, please share those with us too! We would love to see them. Please see my next article, coming soon. Thanks for reading. Hey 🙂 Thank you so much! 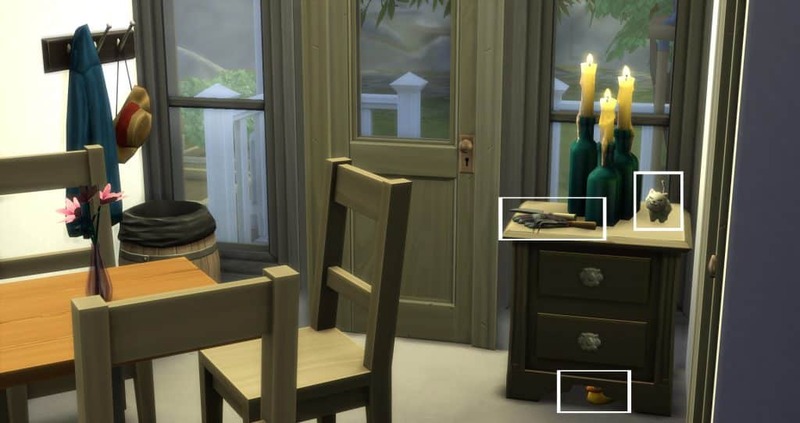 I’m so great at making clutter in real life, but I couldn’t do it in game, I just had no idea how to proceed haha. 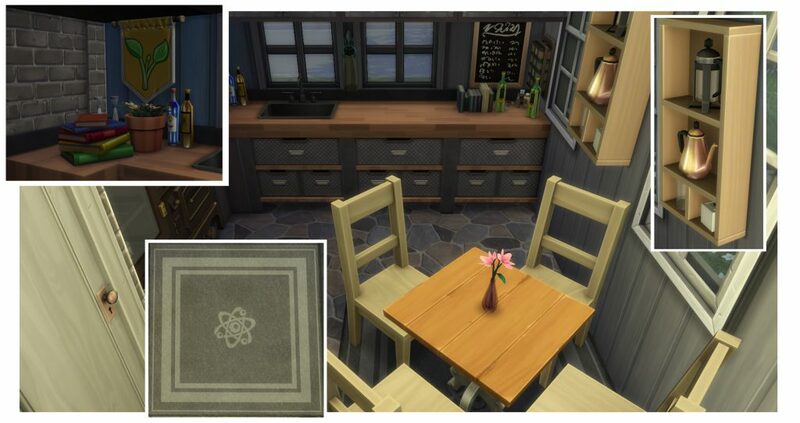 Great article, I too like to visualize my sims’ past and try to add it to the game. Hi, Nadine, I’m sorry but I don’t any information regarding that mod. You may want to try contacting the Mod Creator to see if he has developed that mod for the Mac platform and if not, if he has any plans to do so. Insightful ideas! I love this approach to building. Definitely allowed you to shape the space here. Insightful article that reminds us to remember to introduce the “real” into our sims’ realities. New FreeSO Update adds new features and bug fixes! What Makes a Great Expansion Pack?